AUGUSTA, GA. – New faculty members often feel overwhelmed by change when they start their careers. There are colleagues to meet, research agendas to set, classes to manage, students to mentor, committees to chair and more. That first year can wreak havoc on their lives. “No matter what support system you have, you have to figure out a lot of it yourself. It can be really lonely. It can tax relationships,” said Dr. Drew Kemp, professor in the Department of Advanced Studies and Innovation in Augusta University’s College of Education. In an effort to help new faculty members survive and thrive in their new careers, Kemp has compiled a book of personal stories and advice from 89 faculty members across the U.S., Ireland, South Africa, Australia and New Zealand. 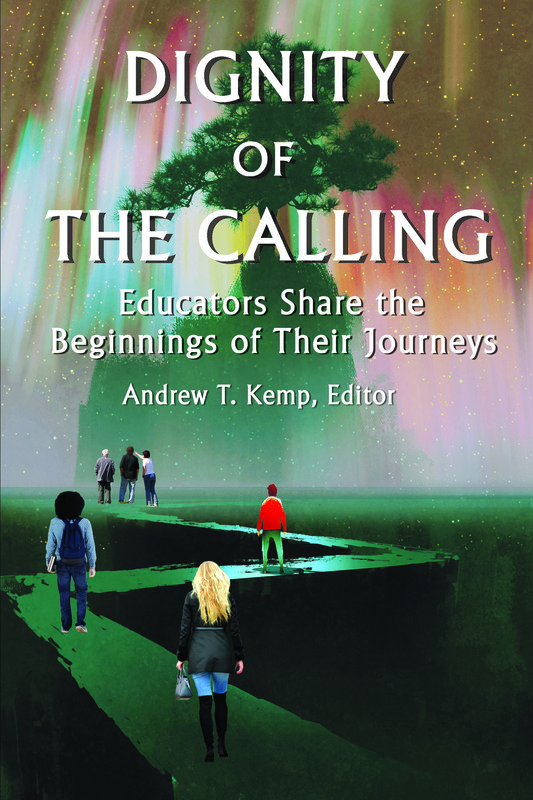 His book, “Dignity of the Calling: Educators Share the Beginnings of their Journeys,” examines common experiences, personal challenges and survival strategies for new faculty members. The stories in “Dignity of the Calling” showcase the camaraderie and challenges of beginning a career in academia, while also providing comfort and guidance. Some of the stories are revealing, like the Latino faculty member mistaken by a colleague as a laborer. Others are more practical, providing steps to success. But each highlights and strategizes the specific challenges that come with a career in academia. For example, one professor lived in Michigan and took the only academic position open to her – in Minnesota. She commuted every two weeks for two years. One professor’s first job consisted of all online classes at three different campuses. And one new faculty member defended her doctoral dissertation, got her first job in academia and had a baby… all in the same year. Kemp knows these challenges all too well, having taught in public schools for 10 years and having a family before he decided to pursue a career in higher education. And even after his first year, he found himself buffeted by unexpected trials. During the compilation and composition of this book, he lost both his wife and his father. “I was writing this book about new beginnings when I realized that we don’t have just one beginning. We have multiple beginnings and challenges and each of them can set you down a new path or build on the one you have already begun,” Kemp said. Even as an experienced faculty member with tenure, Kemp is sometimes confronted with unfamiliar experiences and information, and he wants new faculty members to know this is universal. He referenced Socrates’ assertion that the wise man knows that he knows nothing. “The more I know, the more I realize there is so much I don’t know. The important thing is to come to grips with what you’re good at and slowly build on that instead of worrying about everything you don’t know,” Kemp said. “Dignity of the Calling” is available on pre-order from the publisher. Visit www.infoagepub.com/products/Dignity-of-the-Calling or www.dignityofthecalling.com.